With his wife and six daughters, Swami has lived at Number 14/B for ten years. On the day they moved in, he ripped out the interior doors and broke them up for firewood. Why would an Appa and Amma put a door between themselves and their children? Better to sleep together, side by side on the floor, your wife snoring like a pond of croaking frogs, your youngest babbling unconscious nonsense as her knees twitch amiably against the backs of your thighs. Here, with the second paragraph to his first novel ‘White Man Falling’, Mike Stocks encapsulates what lies at the heart of this delightful book. Whilst there’s much else to enjoy and more than a little to make us think, this book is driven by love for and within the family. Certainly Mike loves his central protagonists, and I rather think he loves the idea of ‘family’ in all its meanings too. If you’re looking for a book that rails against such things, that sees relationships as doomed, love as a fool’s game and wisdom as cynical manipulation in another guise then you may well be disappointed. On the other hand if you want to laugh, be charmed and can accept that good and bad may sometimes be the result of accident just as much as design then this is the book for you. Swami’s situation is difficult. Bad enough that he is struggling to come to terms with the stroke that forced him to retire on half-pension and made forming a coherent sentence a challenge. Added to that he is ‘blessed’ with six daughters, no sons and a wife who is determined to find a suitable husband for the eldest. No easy task with dowry costs being what they are. As for the daughters themselves, they may be dutiful but they are also smart and finding their feet in world with such horrors as email and jeans. A difficult combination. No wonder former Police Sub-Inspector R.M. Swaminathan recently attempted suicide with a puncture repair kit. And then everything changes (although in some ways much stays the same). A white man falls to his death almost on top of Swami and before long he finds himself at the centre of both crime and deification. How this affects his family, former colleagues and friends and the people of the town of Mullaipuram in Tamil Nadu is brought alive through Mike’s articulate and witty narrative voice. Characters eccentric, corrupt, naïve and kindly (often at the same time) make up the larger family in this story of accidentally developing spirituality. What it means for these sharply observed people is the text of this book. What lies beneath is Mike’s apparent belief that mishap and misunderstanding are part of life and that absolute truth is not necessary for wisdom. Impossible to ignore with this book is Mike’s background and immersion in poetry which adds a descriptive richness and complexity to his prose. Not the ‘look I’m a writer’ complexity found in some so-called’ literary’ prose; rather a depth and subtlety in language and structure that allows Mike to move from the sacred to the profane and back with aplomb. Make no mistake; whilst this is a very accomplished and elegant first novel, it is also a very funny one. Occasionally reminiscent of the novels of Tom Sharpe (although far less cruel) in the blackly comic descriptions of Mullaipuram and its residents, there is also plenty of amiably humorous insight into both spirituality and family life, much of which will strike a chord with the reader. Whether it truly gives an insight into contemporary southern India is an impossible question to answer from my white man perspective. However, as you can see, Mike has done his research. Add to that the obvious delight he takes in his characters suggests to me that his voice is close to the lived experience, making Mike’s brave decision to gently satirise another culture to portray universal human traits a sound one to take. I very much hope to read more from Mike in the future. There is always a place for timely and well thought observation portrayed through comedy (a certain William Shakespeare springs to mind) and as we shake our heads in despair at the state of the world and wonder where we’re going, work such as this brings both insight into who we are and raises a much needed smile. Mike Stocks was born in Lancashire and educated at Birmingham University, and currently lives in Edinburgh. He writes novels, poetry and translations, and has worked both as a lexicographer and as an editor for several British publishers. He is the founder of Anon, the anonymous submissions poetry magazine. 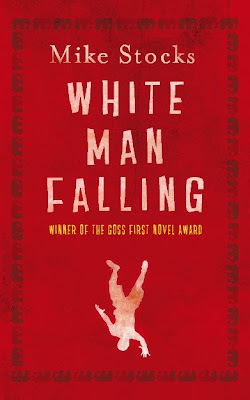 His debut novel, White Man Falling, won the Goss First Novel Award. 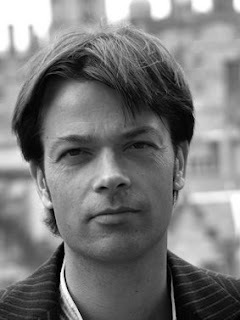 His poetry collection Folly is published by Herla, and his translations of Roman poet Belli by Oneworld Classics. For Alma Books' site click here. For Mike's site click here. Thanks for steering toward another book I can't afford to miss. a depth and subtlety in language and structure that allows Mike to move from the sacred to the profane and back with aplomb. Funny, sad, real or fantasy stories--that's how I'd like to get my own stories to flow. Not easy.